Are you looking for a compassionate, intuitive spiritual counselor with accurate insights and answers for your life? If so, the Great Spirit has guided you here. I am a Modern Shaman and a Healer with over 15 years experience in the spiritual realm. I am a Native American who honors the Old Ways and integrates ancient wisdom of all cultures with modern culture and understanding. Need Healing Energy to face a life challenge? I can make a fast connection and send the extra spiritual boost you need to discover YOUR OWN inner healing power. Need advice from the spiritual realm on a topic that has you feeling lost or confused? Though powerful shamanic intuition, I can connect to the Spirit of the Wolf and other selected guides to answer your questions. Having trouble understanding the nature of the plan that Higher Guidance has for your life, or the reasons things happen the way they do? I have studied all major metaphysical traditions of the world intensively and can offer plain answers to tough questions. My goal is to leave you with more insight and more self-worth than you started with. YOU are the love and light! I have taken many Shamanic Journeys deep within myself and returned with the ability to call upon Intuitive Spiritual Guidance to heal and advise people. My calling is to use my spiritual gifts to help others. But please don't expect another standard canned reading from me. I tell it like it is, because you deserve the truth. I'm in this for the chance to help you grow. If you feel guided here, come talk to me and let me help today! 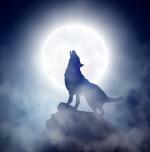 To begin your Live Psychic Reading with Starz_Wolf_Spirit Click Here.
" Quick connection, very quick to reply, great reading "
" Had an excellent reading with Starz Wolf Spirit and I highly recommended. Really connected, and Starz Wolf Spirit answered my questions and gave insights that I really needed. Initials and situations were brought to light, completely accurate and validated the reading. Definitely plan on future readings with Starz Wolf Spirit again." " Such a lovely reader.Highly recommend!! Very in tuned and quick to reply. Great read! " " Picked up on situation exceptionally well , fast typer doesn't your time , gave good clarity, advice and empathy. Would highly recommend, you wont be disappointed. Really lovely reader , I'm very grateful . TY "